You may know Roger & Gallet for their head-turning fragrances and voluptuous body care, but have you discovered their latest beauty venture? 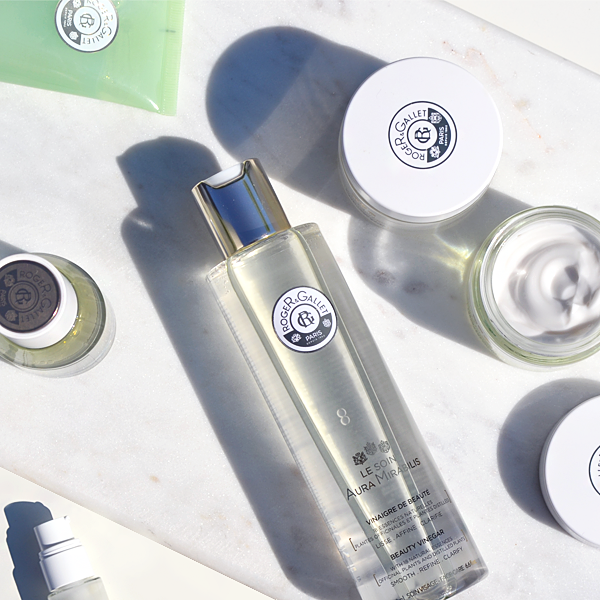 In Roger & Gallet’s avant-garde yet traditional style, meet the new Aura Mirabilis skincare collection – a range created to reveal the aura of perfect looking skin. Did you know: Nearly 300 years ago, monks developed the ‘Aqua Mirabilis’ remedy that could be ingested or applied to heal cuts and wounds. 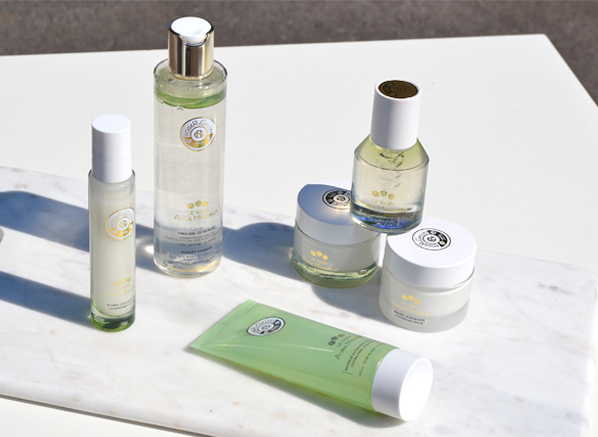 Roger & Gallet are the official owners of the revived patent, which they’ve used to create the Aura Mirabilis skincare line. Made for a skincare enthusiast that loves a pampering ritual, the Aura Mirabilis range is all about revealing perfect looking skin with indulgent textures and exquisite formulas. The original Aqua Mirabilis formula was used by Emperors and royal courts around the world such as Napoléon III, Joséphine de Beauharnais and Queen Victoria. Now, Roger & Gallet have made sure all modern day empresses can enjoy the luxurious benefits of the Aura Mirabilis range. For those that love the feeling of freshly cleansed skin, the Extra-Fine Cleansing Mask is an essential skincare step you need to try. 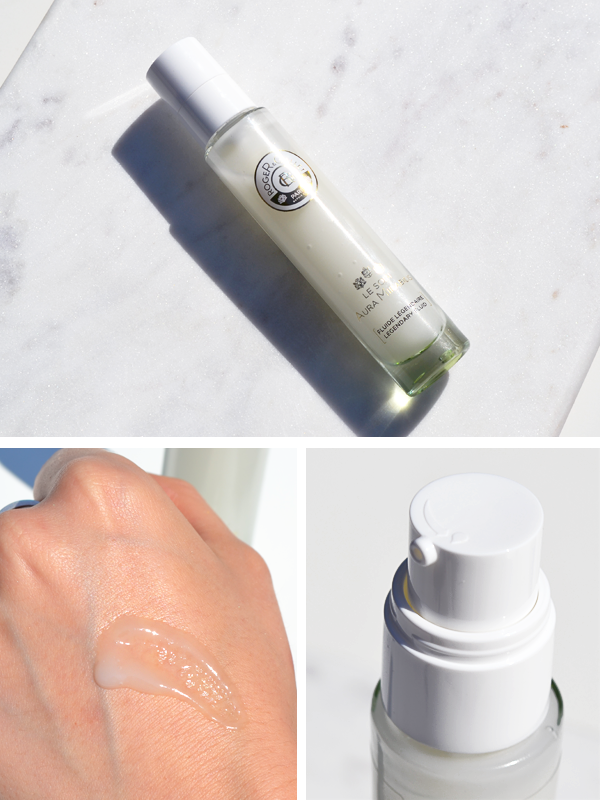 Appearing first as a gel, once massaged into your skin, its refreshing texture transforms into a lightweight oil that dissolves all traces of makeup and impurities. 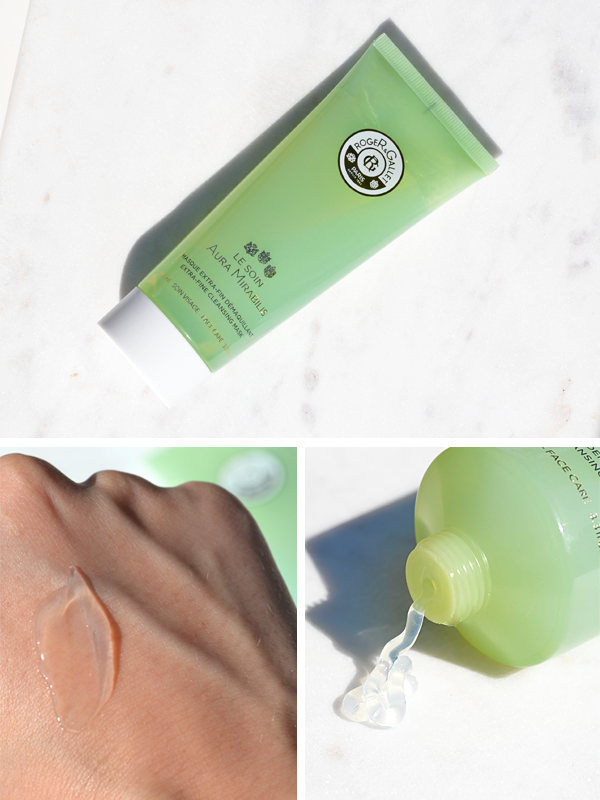 You can use the Extra-Fine Cleansing Mask as the first step of your double cleanse, or you can apply as a mask, sit back and relax for ten minutes, then wash off after you’ve finished. Star Ingredient: Helianthus flower oil, which is rich in essential fatty acids hydrates and nourishes your skin. I know, a beauty vinegar sounds crazy, but this is actually a pretty amazing solution that’s been inspired by the use of cleansing vinegars that were blended with fruits, flowers and spices back in the 18th century. Re-mastered by expert distillers, this bi-phase solution acts as more of a toning step in this luxurious routine. Created to smooth, refine and clarify your skin with its fruit vinegar and water phase, this intelligent cleansing solution removes dead skin cells, tightens pores and rids your skin of any leftover makeup residue. Ultra-cooling and completely refreshing, the Roger & Gallet Aura Mirabilis Beauty Vinegar doesn’t tingle or irritate your skin. Star Ingredient: Helianthus flower oil, which rich in essential fatty acids hydrates and nourishes your skin. 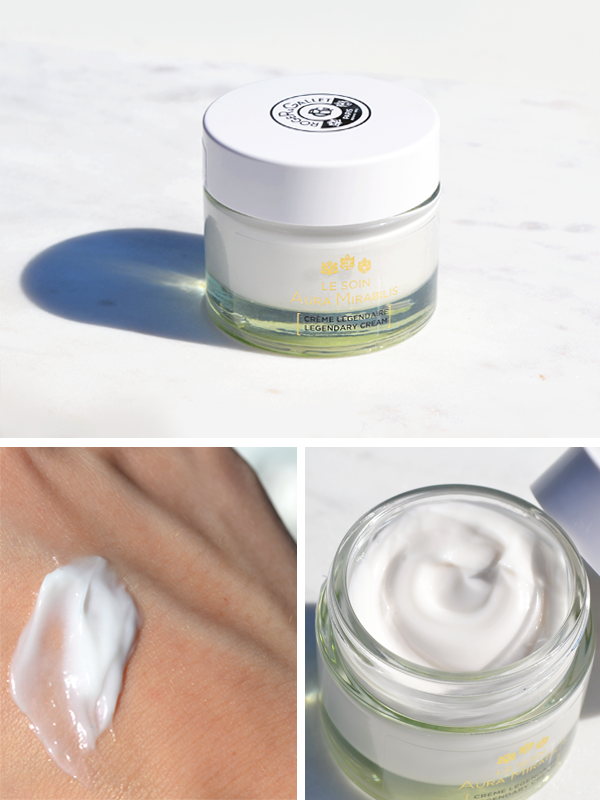 According to Roger & Gallet, if you can only purchase one thing from the Aura Mirabilis collection, this should be it! This innovative serum is a complete all rounder when it comes to beautifying your skin. 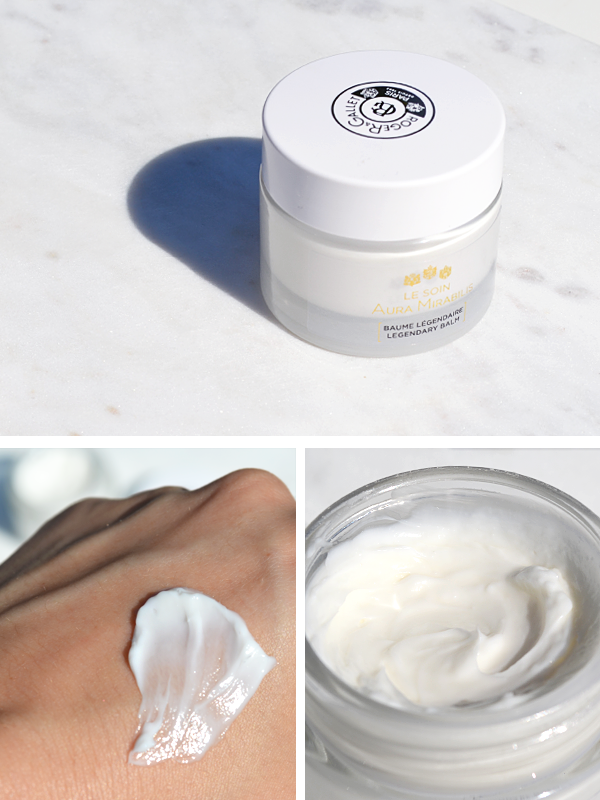 Created to restore and revive your skin, this unique formula smoothes and penetrates your complexion with concentrated plat-powered goodness, directly into the heart of your skin cells. Tackling skin irregularities, fine lines and dullness, botanicals found in the Double Extract keep your skin defended from harmful aggressors. Star Ingredient: Salicylic Acid works as a gentle exfoliant to remove dead skin cells. More suited to a normal or dehydrated skin types, the Legendary Cream works threefold by renewing, rebalancing and illuminating your skin. In addition to the infused 18 official plant extracts, this micro-emulsified formula melts into your skin, comforting your complexion with a fresh, gel-like layer of hydration that nourishes and soothes your skin. Star ingredient: Known for its royal influences, white lily is a powerful healing agent that is enriched within the Aura Mirabilis Legendary Cream. 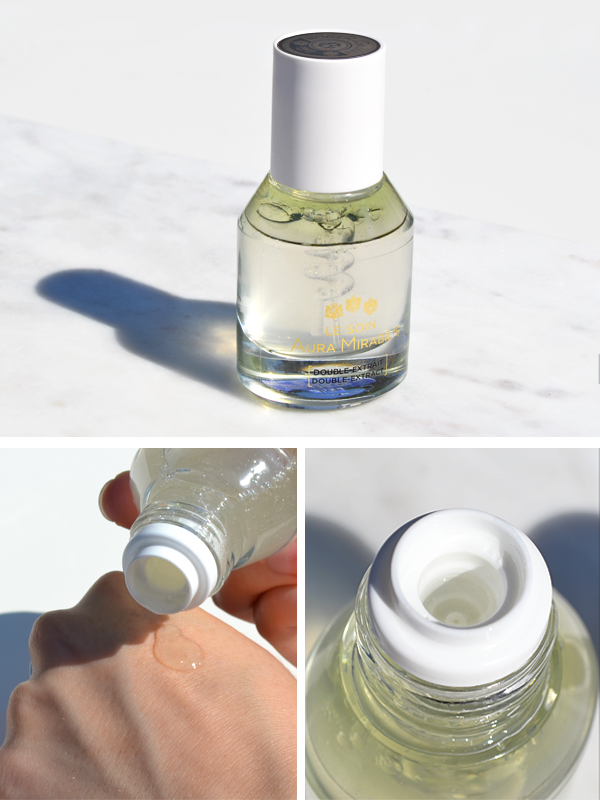 This refreshing gel-fluid is perfect for those with combination to oily skin types. More of a veil of hydration, than a heavy dose of moisture, its lightweight texture is actually 99% natural. Thin in consistency, the Legendary Fluid is ideal for a summer moisturiser switch-up, as its satin finish sits beautifully alone or underneath makeup. Star ingredient: Rosa Damascena Flower Water calms and soothes skin with its natural healing powers. For those that love rich textures and sumptuous hydration, the Legendary Balm was made for your skin type. Whilst smoothing away fine lines and skin irregularities, this comforting cream’s texture caters to the needs of drier skin. If you have dehydrated skin, you can also use the Legendary Balm before bed to give your skin a well-needed boost of hydration, its fluffier texture absorbs beautifully into the skin. Star Ingredients: Fruit oils and vegetal waxes keep your skin plumped, hydrated and nourished. This entry was posted on Thursday, May 25th, 2017 at 3:22 pm and is filed under Brand Focus, New products, Skincare, Swatches, Tried & Tested. You can follow any responses to this entry through the RSS 2.0 feed. You can skip to the end and leave a response. Pinging is currently not allowed.